My Favourite Charity 2017 has now ended. 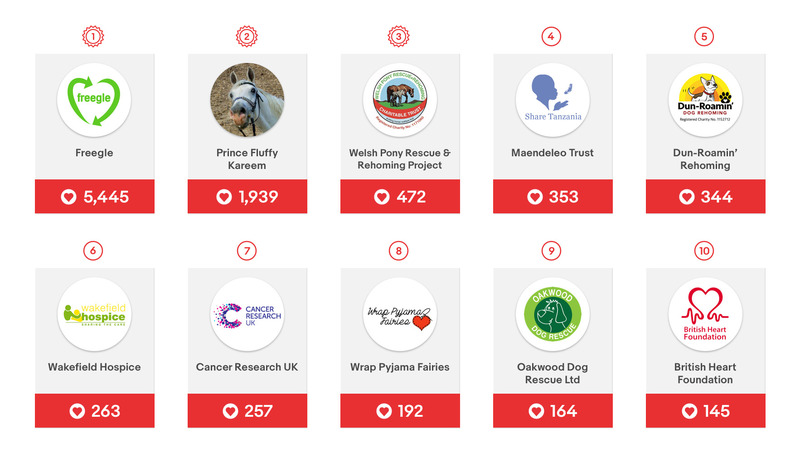 Thank you all the charities that took part in the competition. We will be announcing the winning charities shortly by email. Remember, even though My Favourite Charity has ended you can still ask your supporters to favourite your charity on eBay. Once an eBay user selects your charity as their favourite, they’ll be shown your charity as the cause to support whenever they buy or sell on eBay, meaning you’re more likely to receive ongoing support from them. Join the eBay community to receive free resources, programme updates, and helpful tips. Search for your charity name to find out if your charity is already part of the eBay community. Enrol today with our charity partner, PayPal Giving Fund. Enrolment is free! Our database shows that you are NOT Registered with our charity partner, PayPal Giving Fund. Don’t fret though—you can start today! Enrolment is FREE! Describe your organisation, its history, and mission. Feel free to also include a bio of the founder(s).